A few days ago, I shared with you all that I was using Groupon to buy a lot of my Christmas Gifts this year. I already bought my youngest sister and my niece a Groupon deal to get beautified and now it is time to get something for my middle sister. I wasn’t sure what I wanted to get her and started looking at all the great gifts that you can buy for people on your Holiday list. 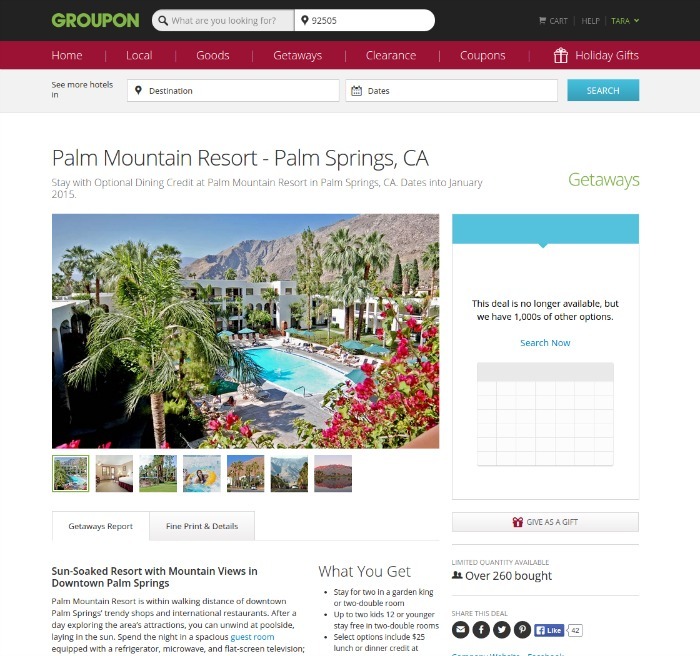 Groupon has so many local deals, like dinners out at nice restaurants, yoga classes, skydiving, hot air balloon rides, wine tasting and so much more. Thinking about my sister and how she is a single mom that works hard, I headed over to the local getaways to see what hotels were available. Knowing how hard moms (single or married) work, I knew that this would be a great way for her to get away with her best friend, even just for a night away without the kids and just relax and have fun. We had talked about going to Palm Springs before so when I found the great deal for the Palm Mountain Resort in Palm Springs, I knew it was a perfect fit. Since it’s within walking distance of great shops and restaurants, my sister and her BFF can easily get to places they want to go without having to drive and look for parking. After a night out having fun, they can spend the next day lounging by the sparkling pool and relaxing. While Groupon has so many great deals for the Holidays, some people might not want to give just a piece of paper as a gift. But, no matter what you buy, you can spruce it up and have a little fun. Buying yoga classes? Add a yoga mat, yoga towel & water bottle for a fantastic gift. Want to give a restaurant Groupon for a night out? How about including it in a basket with a bottle of wine, some wine glasses and some chocolates? The possibilities are endless and you can make it anything you want. 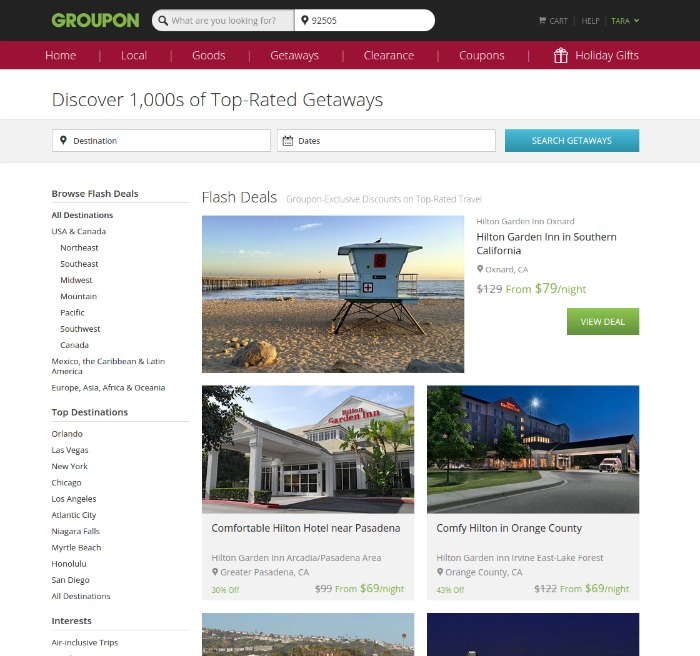 Groupon has great deals for kids, families, couples…there is definitely something for everyone with Groupon. 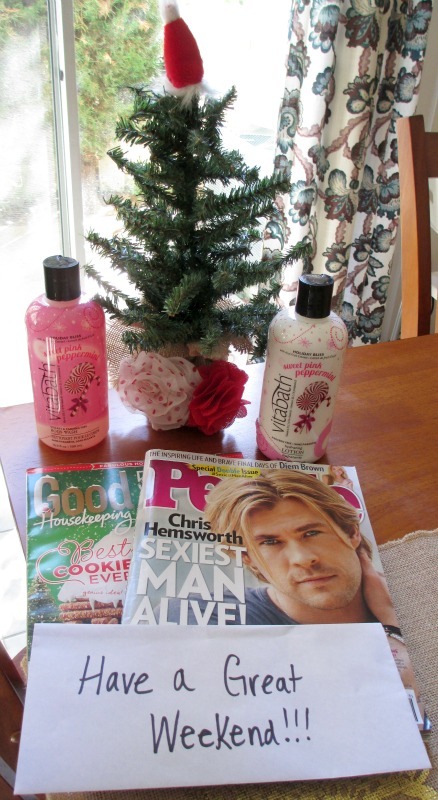 For my sister, I decided to buy her a couple of her favorite magazines for reading by the pool, some body wash and lotion to pamper herself with and I included a fun little tree that we got at Target ($3!). It doesn’t have to be expensive, just a fun little gift to go along withe the Groupon to show them that you care! Make sure you head on over and check out all the great gifts that Groupon has this Holiday season (and every day!). You can find lots of great posts from other bloggers that have found great gifts for their family and friends, too!